Sponsorship Registration is currently open. If you have not received your email or are new to ASMC’s PDI, please contact pdiexhibits@rhq.com or 702.798.8376. 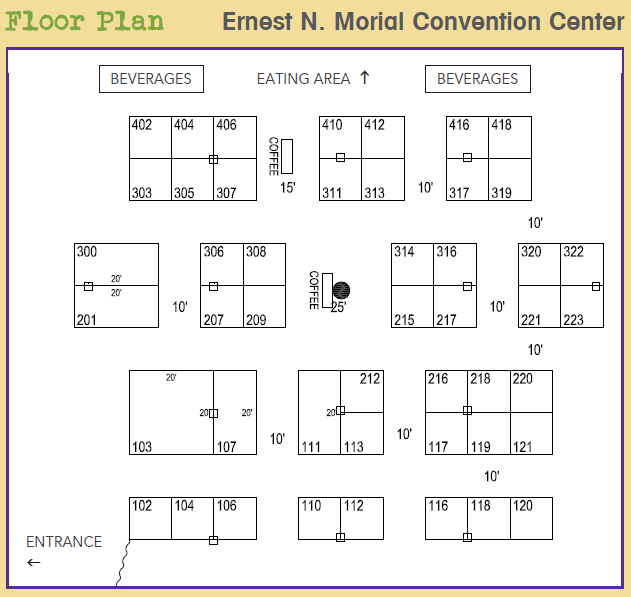 This year’s National PDI will be held at the Ernest N. Morial Convention Center in New Orleans. The exhibit hall provides the opportunity to network with attendees and position your product with personnel in the military resource management field. The hall will be open 16 hours in the two-day period, Wednesday and Thursday. Booth packages begin at $2000. With the exception of ASMC Gold Members who have advanced access, sponsor registration will be available on February 9. Your organization can take advantage of an exclusive offering by sponsoring the WWII Museum Kick-Off Reception, held at the award-winning National WWII Museum in New Orleans. The three hour reception will include access to the Tom Hanks film production, “Beyond All Boundaries”, gourmet food, and tours of the museum’s six-acre campus. For further information about this special opportunity, please contact Libby Long at Long@asmconline.org. New this year! The mobile event app for ASMC’s 2015 PDI provides you with the opportunity to connect with attendees in a unique and personal way. The customer-designed, comprehensive mobile app puts all event information at the attendees’ fingertips – anytime, anywhere – with real-time updates provided at the conference. With your logo on the splash screen, you’ll get high visibility to a large audience of users as this app is free and easy to download! New this year! Attendees will participate in a scavenger hunt that will allow them to see their surroundings in a new way. They will be stopping at fascinating locations to include Jackson Square, Preservation Hall, Aquarium of the Americas to name a few. The scavenger hunt promotes a safe and fun event for all. Attendees will have a chance to meet new people and discover new locations and enjoy a day on the town. Your company’s banner advertisement will appear on pdi2015.org, which is seen by people you most want to reach. In the months leading up to PDI, the ASMC websites receive on average 1500 visitors each day. Banner ads will be placed online within five days of receipt of image and will remain online through July 31, 2015. Banners must be provided in JPEG or GIF format, sized 240w x 120, and may link to a URL of your choice. Banner advertisements rotate with each page load. Space and sponsorships will be reserved in the order they are received at Registration Headquarters. To reserve your sponsorship package and/or booth, visit www.asmconline.org or contact Registration Headquarters at (702) 798-8376 or pdiexhibits@rhq.com. ASMC corporate members receive $100 savings over non-members! Call ASMC National Headquarters at (800) 462-5637 for membership information or download the corporate membership application. Corporate sponsors wishing to increase visibility to PDI attendees can advertise in ASMC’s journal, the Armed Forces Comptroller (AFC). The AFC includes intriguing articles on relevant defense financial management topics and is delivered quarterly to the ASMC membership and to key industry stakeholders. Corporate sponsors interested in advertising in the Spring 2015 journal, which will be shipped in early May, would be able to highlight their products and services prior to PDI 2015. A special discount of 50% will be taken off every ad rate for those organizations who are sponsoring PDI 2015. For more information about advertising in the AFC, please contact Kathryn Grandstaff-Bradford at Grandstaff@asmconline.org. Nine hotels will be used for lodging in New Orleans at a rate of $151.00 per night. Your confirmation package will contain special directions on how to obtain room(s) at these hotels. Housing will open for reservations in late February.